Kepa Kurl kids (photo: Dan Paris). Gail Liston has hit the road and distilled her extensive travel knowledge to bring us the 20 Top Tours from all around Australia. Of the 10,000 or so beaches that ring Australia’s 37,000km coastline, none are as brilliantly white or as silky to the touch as the sands of Lucky Beach near WA’s seaside town of Esperance. It’s easy to see why the Noongar people chose to live in this area where there’s a wealth of food sources – both plant and animal – although most aren’t obvious to the untrained eye. 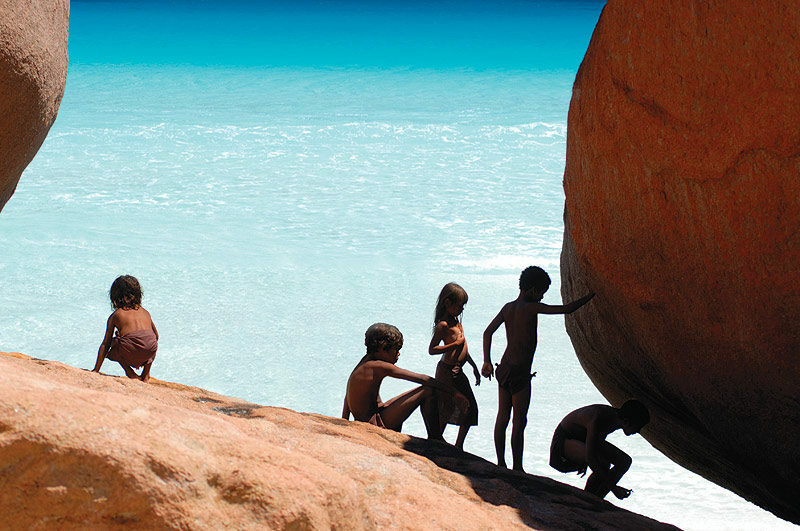 That changes on meeting up with Doc Reynolds from kepa kurl Cultural Discovery Tours and joining a 4WD trek of discovery along the shoreline this southwestern corner of Australia. Doc and his sister Gail Reynolds-Adamson own and run kepa kurl, the Aboriginal name for the area that means “where the water lies like a boomerang”. 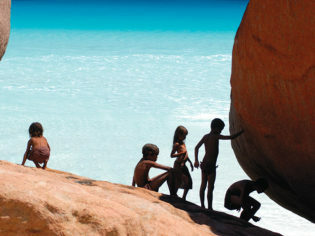 They are members of the southeast section of the Noongar clan and traditional owners of the Esperance area, and want visitors to this stunning coastline to leave with an education of both the landscape and the culture. The surprise of sipping fresh, sweet water bubbling from the sand just as Doc’s ancestors once did.